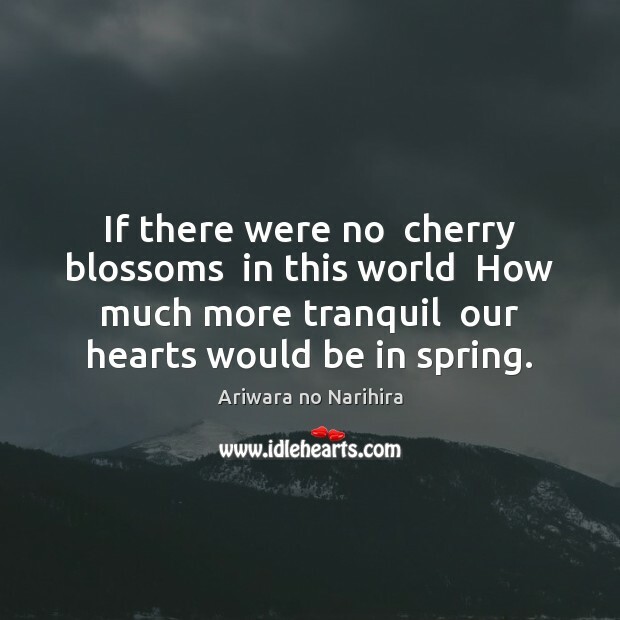 Enjoy the best inspirational, motivational, positive, funny and famous quotes by Ariwara no Narihira. Use words and picture quotations to push forward and inspire you keep going in life! 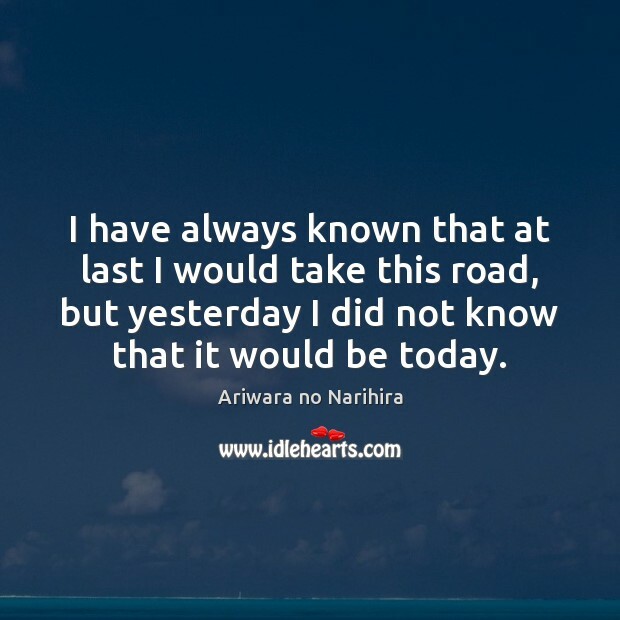 I have always known that at last I would take this road, but yesterday I did not know that it would be today. 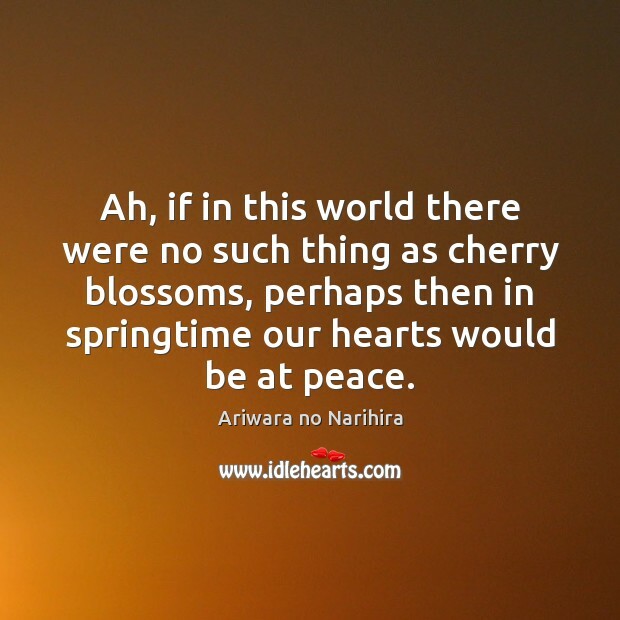 Ah, if in this world there were no such thing as cherry blossoms, perhaps then in springtime our hearts would be at peace.